Last week we took a look at how AI can help alleviate the stress of travelling with companies such as Skyscanner, Airbnb and Trivago there to help. Planning your travel and accommodation is step one, but there’s so much more prep that always gets left to the last minute. When was the last time you got your suitcase out to pack and realised not only did you have no holiday appropriate clothes, but you also didn’t have your music library sorted for that long journey and those lazy mornings by the pool, and what about entertaining the kids? Should have started thinking about movies for them weeks ago! Damn, there’s no way it’s going to all get done in time…Wrong! Whilst retail therapy is still a much loved pastime, when you’re in a rush and are after several different items, trawling through what the high street has to offer couldn’t be any further away from your idea of a relaxing afternoon. The fashion industry is a visual world and every day we’re faced with models and media showing us the latest trends and products. When it comes to online shopping it can still be overwhelming to be faced with uncategorised items in all different styles, sizes and colours. Susana Zoghbi, Postdoctoral Researcher at KU Leuven explained how she is trying to overcome this categorisation issue in her research and spoke about how implementing ‘deep learning techniques to automatically identify fine-grained attributes in both images and text in the presence of incomplete and noisy data’ is proving to be a solution. You can hear how she is focusing on helping online stores who might want to automatically organise and mine visual items according to their attributes without human input. 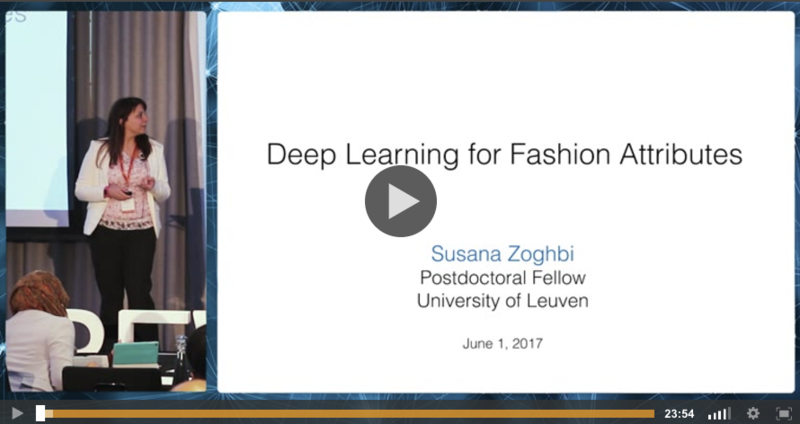 You can watch Susana’s presentation from the Deep Learning in Retail and Advertising Summit on our video hub here. Once you’ve managed to quickly select the products you want (remember back to the shorts, tops and swimwear! ), the next thing you need is timely delivery. Zalando are using neural networks to optimise their warehouse selection and stocking to optimise the picking route to get your order to you as quickly as possible. Calvin Seward, Research Scientist at Zalando explained how research advances in deep learning have enabled research and industry to master many challenges in computer vision and natural language processing that were out of reach until just a few years ago that are helping achieve the optimum level of efficiency. You can watch Calvin explain the implementation of deep learning for retail warehouse operations here. Got a smartphone? Easy, no more being subjected to "Now Whatever Number We’re Up To" in the hotel, you can plug into whatever soundtrack you like. Keeping up to date with the newest releases is all very well if you’re into the mainstream charts, but hunting down up and coming artists can be a little more challenging, especially when you’re tight on time. 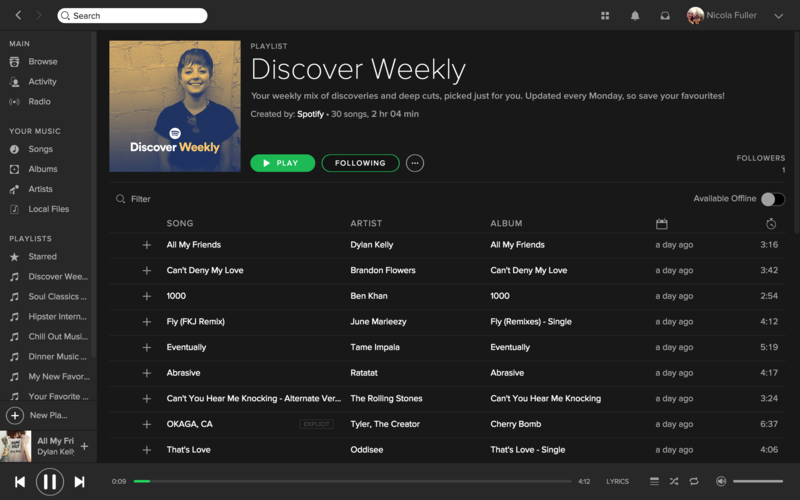 This is where Spotify’s ‘Discover Weekly’ comes in handy. The feature that uses agile deep learning suggests personalised music based on tracks and playlists that you already listen to. Initially, the platform suggested various songs and albums based on your historical listening, but this still requires the user to select which they think they’ll like the most - a task, if you’re frantically packing for a holiday, you don’t have time for! At the Deep Learning Summit in Boston earlier this year, David Murgatroyd, machine Learning Leader at Spotify explained how they have overcome this by their new offering of a customised playlist compiling the top tracks that you might be interested in. This eliminates any decision from the user, and delivers an eclectic, yet personalised, catalogue of music. In his presentation, David spoke about the implementation of agile deep learning in Spotify and how it’s improving their user experience across the product, and you can watch David’s presentation here. Now, no one goes on holiday to be glued to the screen, but it’s always good to be prepared for a rainy day. Gone are the days of packing the DVD selection and hoping the apartment has a compatible device, but that doesn’t mean the selection process any simpler! Whilst Netflix has ‘a total of around 13,300 titles worldwide’, their personalised content and image selection makes your selection process infinitely easier. You’ll find yourself being recommended movies of the same genre, with the same actors, and of the same style, drawing on the characteristics that appeal to your taste. In order to make the most relevant selections Netflix learns from the behaviour on your account from your search history to the images that most appeal to you, and the percentage of a movie or episode that you have watched. 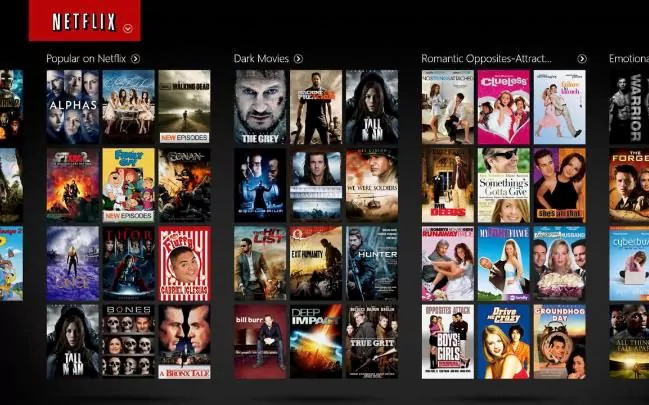 At the Deep Learning Summit in San Francisco earlier this year, Tony Jebara spoke in depth about how these selections are made, and you can read more about using deep learning for personalised selections at Netflix here. Yves Raimond, Director of Machine Learning will also be speaking at the Deep Learning Summit in San Francisco next January and will explore how the challenges in serving relevant content to all their subscribers in different countries boils down to four things: availability, awareness, language, and tracking. To hear about the cutting edge research and advancements at Netflix in January register to confirm your place and save 25% with our Summer Special discount code: SUMMER. So, now you’ve booked your flights, accommodation is sorted, and you’ve got everything you need to hop on that plane or jump in the car to your destination. Have you planned your activities when you arrive? Check back next week as we continue our summer series to hear how AI platforms can help you budget, find the best places to visit, and capture the best memories on your trip.